Walking Tour of Old Fort. 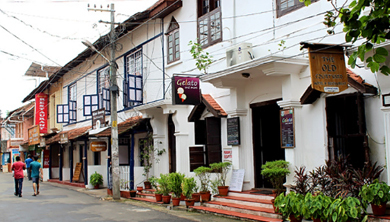 This walking tour gives you a glimpse into Cochin’s rich history and heritage, showcasing the mixed Dutch, Portuguese, British and Jewish influences that make the city unique..
During the tour, we will visit the old quarter of Fort Kochi, exploring the quaint streets of this city on foot. We will also visit Fort Kochi’s seaside promenade, and get a glimpse of daily life in Kochi. The walk lasts 2 hours and is suitable for people of all ages and fitness levels. you will be taken into my kitchen for a cooking class where you can assist in making Steamed Ada (stuffing layered inside rice paste, wrapped in banana leaves and steamed). 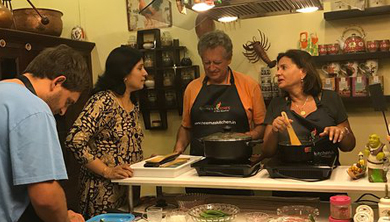 Once the cooking class ends, you can head over to dining table to enjoy a homemade Kerala meal. Dig into dishes like Karimeen Pollichath (Fish marinated in a paste, wrapped in banana leaves and grilled), Mutton Korma (Mutton pieces cooked in curd and a flavor some combination of spices) and more! The entire experience will last 2-4 hours. Day Tour of Alleppey houseboat with lunch. 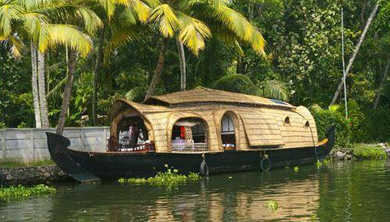 Check in to the Kerala houseboat. Enjoy a tender coconut welcome drink as the crew get ready for the cruise. Set out on an enchanting overnight backwater cruise in traditional Kerala style "Kettuvallam" Houseboat. While cruising in this floating vessel, let your eyes enjoy the scenes of the Kerala countryside as you skim past children waving at you, mowed down paddy fields, local inhabitants as they make coir products, rustic homes, ferry transporting fish and coconut and swaying coconut palms. You will be served a traditional a Kerala lunch in a banana leaf at noon along with fish prepared in Kerala style. You may enjoy the lunch while the houseboat is cruising on these backwaters. Later you will be served tea along with snacks like banana fritters and biscuits. The guide will be with you from Kochi Pickup will Kochi Drop. 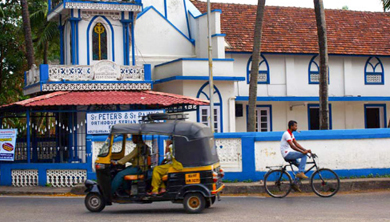 Discover the highlights of Fort Kochi and Mattanchery in a local "Auto-Rickshaw"(Tuk-Tuk Ferrari) with the help of local born Tuk-Tuk drivers from Kochi who are the real local experts of the area who will help you to learn more about the life of the local people. During this tour our group of local experts will helps you to experience some of them and also other important landmarks like Chinese fishing nets, St Francis church, Dutch Palace, Jewish synagogue, Jain and Balaji temples etc. We will also visit some hidden gems like Dhobhi Khana (Local laundry), Ginger ware house (packing/drying of spices), and some women cooperatives (Pappadam making, candle making, inscents making etc.) to experience the life of people. The satellite town of Fort Kochi, a major tourist destination of the Cochin Islands, has an easy paced, whimsical vibe to it. A historic trading port, it still retains an old world charm which can transport you to centuries ago. Narrow cobble stone streets, cafes that open for business only in the late mornings and fishermen that line the coast with their Chinese fishing nets blend in the jigsaw of contrasting activities with ease. 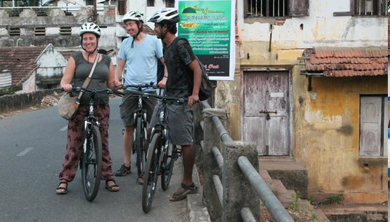 Most of all, Fort Kochi and its Siamese chunk of old city, Mattancherry are best explored on cycles. This refreshing morning ride is infused with colorful stories from the glorious past of Cochin that will make you experience the city from a local perspective.